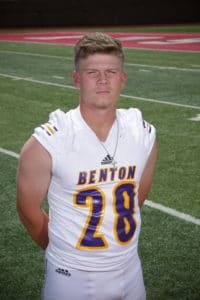 Since the arrival of Head Coach Reynolds Moore, the Benton Tigers have been one of the most consistent programs in Class 4A. During the six year span, the Tigers have won 50 games including four straight seasons of 10 wins or more from 2014-2017. A big part of the program’s success has been this year’s senior class, which has played a part in 38 of those 50 wins. After a 10-2 season in 2015, a 10-3 season in 2016, and a 11-1 season in 2017, it seemed that more of the same was to come in 2018. Unfortunately, the Tigers fell short of that goal winning seven games. Still, a 7-5 season is nothing to be ashamed about and according to senior CB/SS Jeremy Hall, it was a very successful season. For fellow senior defensive end Anthony Echols, it was more than the wins and losses that made the season special. 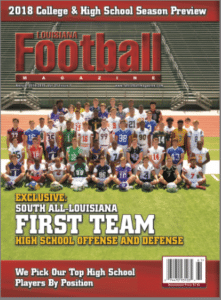 This has been a program that may not have the most talent in comparison to a lot of other teams in their district as well as their classification, but this is a group that plays for each other and are just overall good football players. 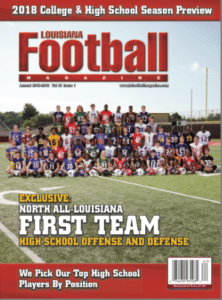 In the 2018 class, there are a couple of players that Louisiana Football Magazine’s recruiting specialist Lee Brecheen believes could take their game to the next level. 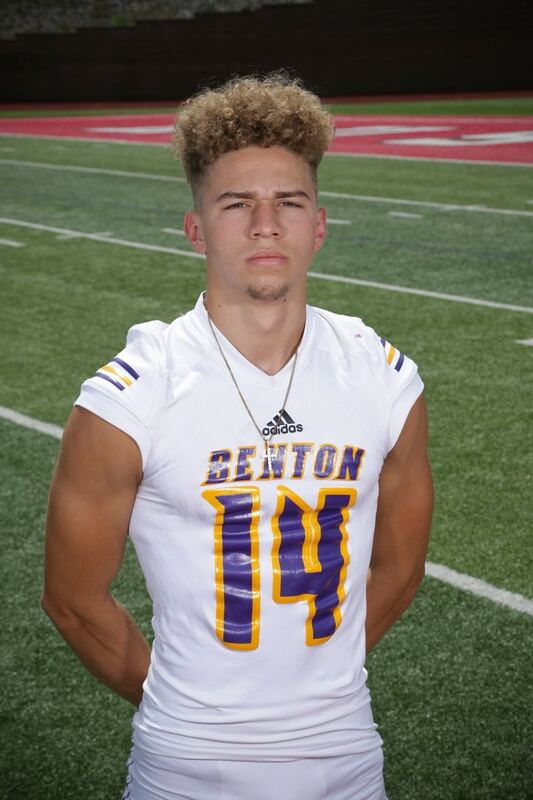 According to Brecheen, Benton senior WR Bubba Osby, who had 42 receptions for 546 yards and five touchdowns in 2018, can be a steal at the I-AA level. Brecheen believes that Echols and senior OLB/SS Sam Simmons can play at the D-III level while he thinks that senior WR Legend Denler can play at either the D-II or D-III level in the end. For Simmons, he has accomplished a lot during his high school career earning 2nd Team All-District honors as a sophomore, 1st Team All-District and All-City honors as a junior, and 1st Team All-District, All-City, and All-Bossier Parish honors as a senior playing defensive back. At 5-11, 205 pounds, Simmons could play either linebacker or defensive back. As of right now, he has yet to receive any offers, but he is not yet willing to give up his dreams of playing at the next level. “If a college was looking at me and I had the skill set they were looking for, I would say if you give me an opportunity, you will get my perfect effort every play I get,” Simmons said. 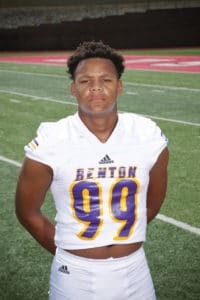 Unlike Simmons, who is still waiting on any last minute offers, Echols, who is a 6-2, 215 pound defensive end, has a couple of options to go to as far as playing football at the next level including one school in which he is committed to. Even though Echols is committed to a school, he is still not shutting down his recruiting process either. 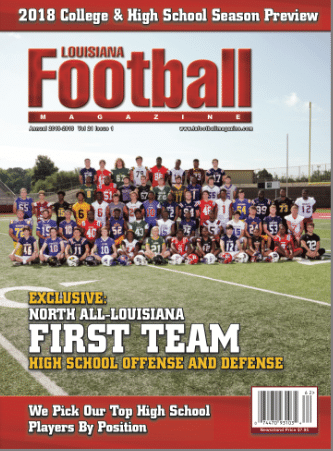 Echols’ effort speaks for itself as he had 108 tackles, 20 sacks, and eight pass deflections while being selected to playing the I-20 All-Star game. 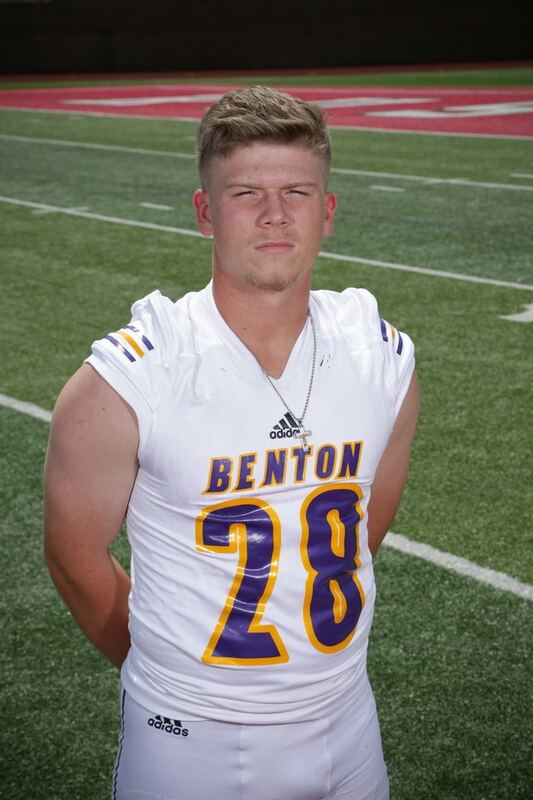 There are other seniors that may or may not get an opportunity at playing the next level, but made a big impact on the success of the Tiger program including senior LB Cole Horton, who finished with 53 tackles, three sacks, and an interception, and Hall. Hall has actually received a couple of offers himself. 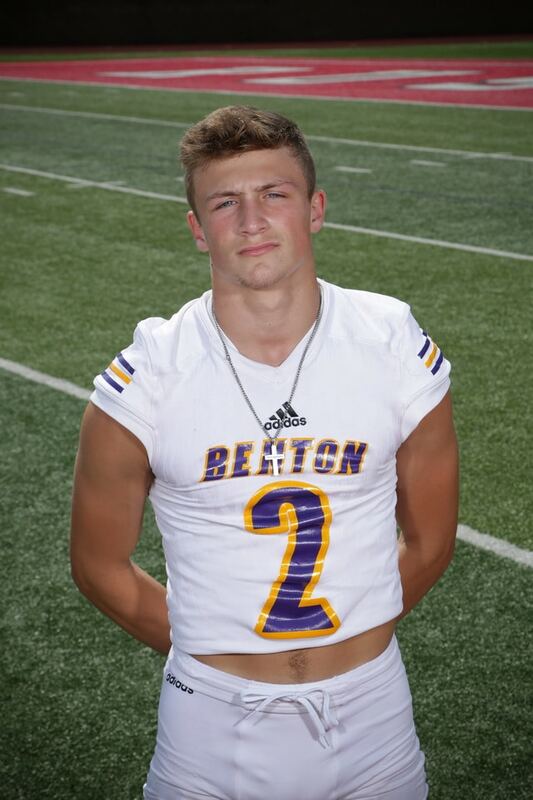 The 6-0, 175 pound defensive back, who was named 1st Team All-Parish, 2nd Team All-District, and had six interceptions, four forced fumbles, and 126 tackles, has received offers from Southwestern University, Henderson State University, and Belhaven University. There have also been plenty of D-III schools that have contacted him as well. It has been a good prep career, but it has not always been easy. That quote is the definition of this Benton team. This was a senior group that always faced adversity including this season, but stepped together and made it a pretty good season. As the team moves up to 5A next season, the younger players have this experienced senior group to look up to as they make the transition up a classification in 2019. Previous: LAFM TV 13th Season! Episode 17!